Greece with Doctors of the World (Medecins du monde). Hellenic Seaways ferry from Lesvos to Chios to Athens, taken by refugees. Doctors of the World have a clinic on board with a doctor, nurse, interpreters and social workers. 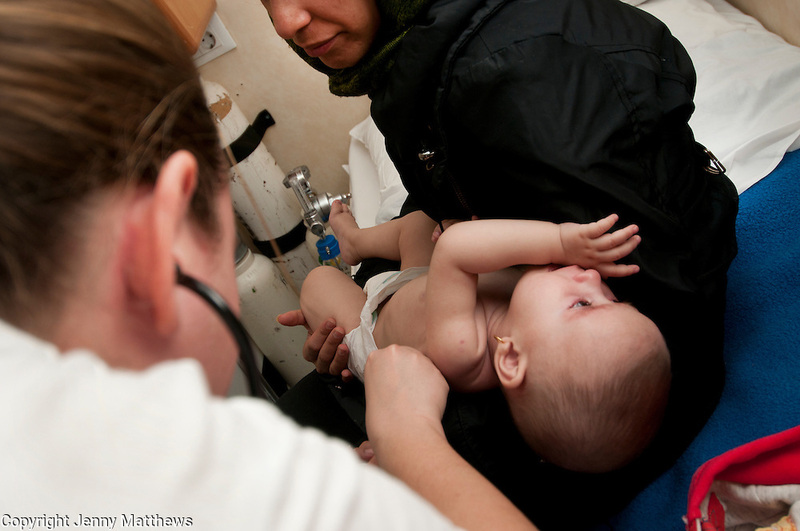 Dr Kerry Pritchard examines baby Zeinab, a 7 months old, Iraqi Kurd, who has been crying constantly since she woke up and saw the sea.